A fresh white wine, aromatic and fruity in style; the unmistakable result of combining Pinot Grigio delle Venezie with the Appassimento technique, Masi’s specialty. Proud, majestic, complex and exuberant: this is a special cru version of Masi’s gentle giant, Costasera. The expert use of indigenous grapes for the Valpolicella Classica area – Corvina, Rondinella and Molinara – is enriched by the addition of the unique Oseleta, a grape variety rediscovered by Masi. These wines are icon wines of the historic Serego Alighieri estate and comes from the eponymous vineyard, the source it seems of the very name Amarone itself. Its elegant personality is enhanced by the use of the Serego Alighieri clone of the Molinara grape and by ageing in cherry-wood casks, as family tradition dictates. Mazzano is an austere and majestic wine, the prototype for Amarone. The grapes come from the eponymous vineyard, famous for the quality of its produce since the XII century, and are laid out in traditional drying lofts during the cold winter months. With its deep roots in one of Italy’s best wine regions, Valpolicella, Masi makes quality wines that are an expression of the values of their territory of origin. Principally using native grapes and indigenous methods for the Venetian territories, Masi makes what Sandro Boscaini, the guiding light in the company, likes to call “modern wines with an ancient heart”, using constant technological updates. Today, Masi is a leader in the production of Amarone and has acknowledged expertise in the Appassimento technique. Grape Appassimento is the traditional method used in the Venetian regions to concentrate aromas and tastes in wine. The grapes are laid out on bamboo racks in drying lofts for the winter period before vinification. This is an ancient technique, in operation for centuries in the area, the art of which has been passed down the Boscaini family and employed in an innovative fashion by the Masi Technical Group to make modern wines from semi-dried grapes, above all, Amarone. 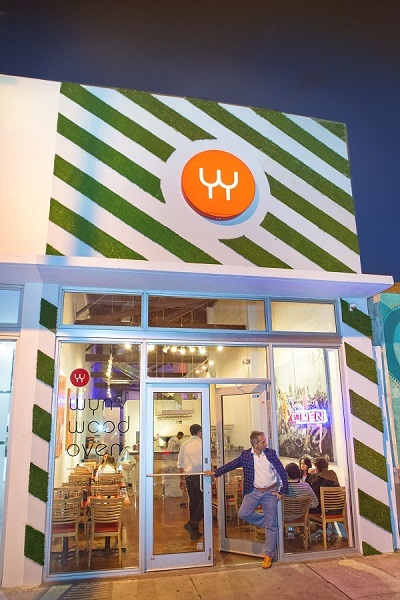 Owner, Stefano Campanini stands in front of Wynwood Oven. MASI Amarone Dinner: Tuesday, January 16, 2018 from 7:00-10:00 p.m.Seating is limited. Advanced ticket purchase required.